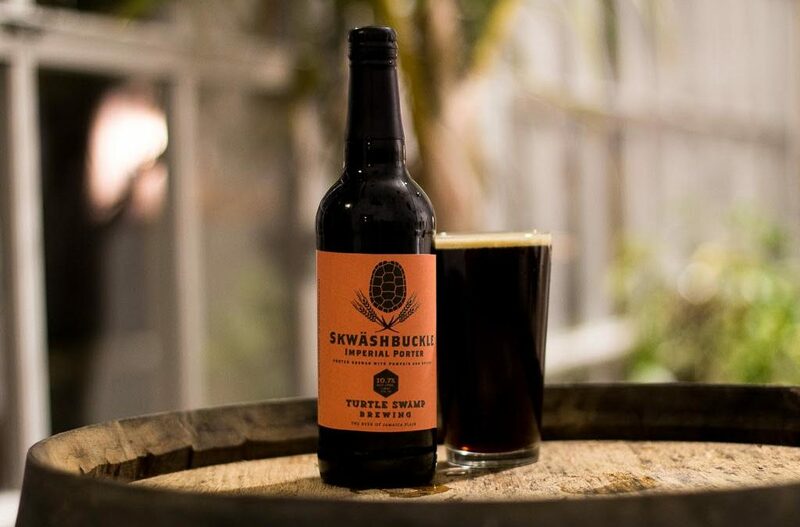 Turtle Swamp Brewing Releases Skwäshbuckle Imperial Porter. The limited offering of your winter dreams is washing up to shore! 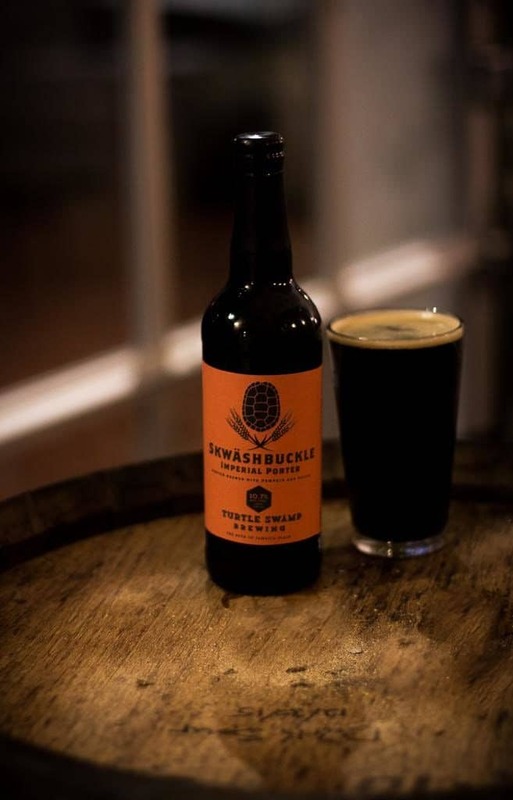 Introducing, the swaggering suds-man, delicious daredevil, adventurous dark beer, our Skwäshbuckle Imperial Porter. This rich and hearty limited offering is brewed with squash and spices, and pours dark brown with ruby red highlights, foaming up with a frothy, mocha colored head. 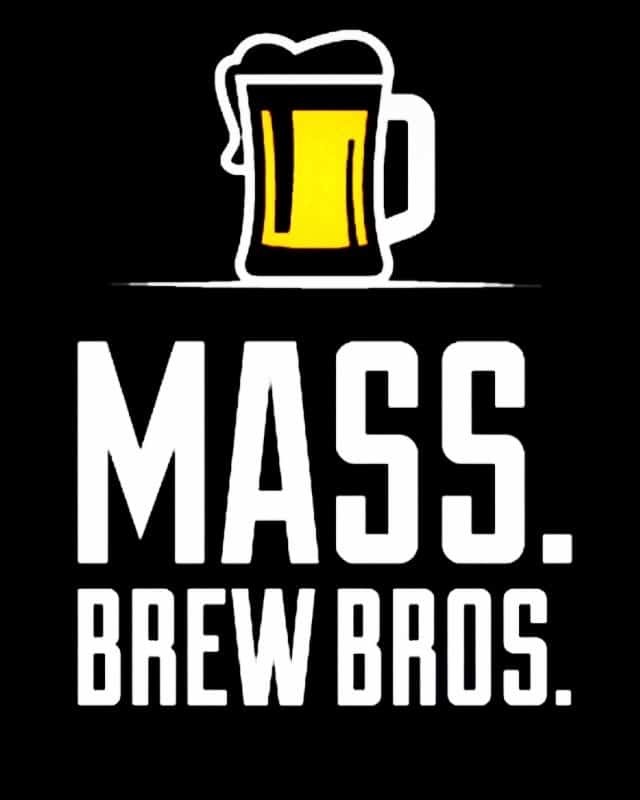 Brewed with cinnamon, nutmeg, allspice, ginger, and clove, the initial sip of this porter is surprisingly light with notes of brown sugar and only a hint of the heat from its 10.7% ABV. The finish releases more complex notes of dried fruit, banana, clove, and hints of pine from the Cascade hops. This beer is named after the linguistic and phonetic spelling of squash, because umlauts are fun. 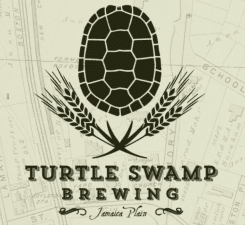 It also shares a surname with Jim Buckle, the New England farmer who grew the 100 pounds of various baking squash that went into this beer. 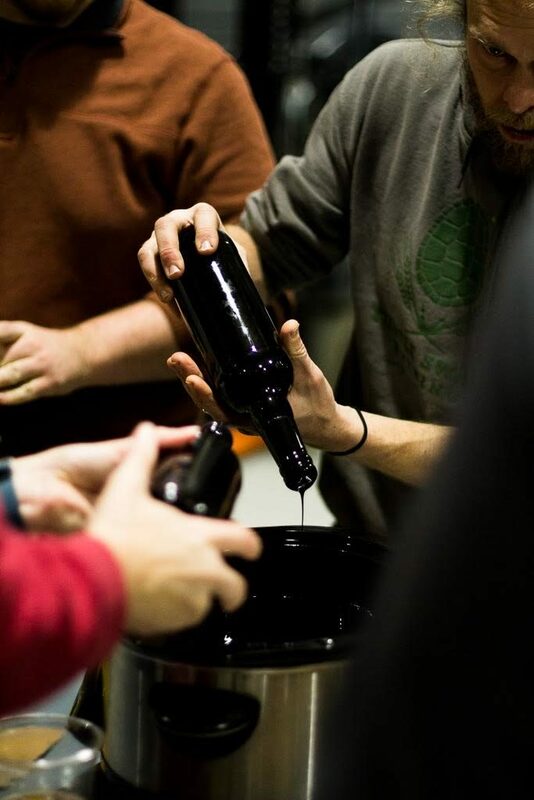 We hand waxed each bottle in a black wax. This was the first time we have ever bottled a beer and we’re very excited about the results! Our hope is that we can start releasing our limited beers in this way, by doing special hours or special to-go hours and options for people.